The management places strong emphasis on change processes and structural optimisation measures in the hotel business. Based in Berlin, the top-management team receives on-site support from the fields of Commercial Services, Revenue & Distribution, Sales, Marketing & Digital, Accounting & Controlling, Central Reservation Office, Procurement, Human Resources, Food & Beverage, IT and Maintenance. After taking over the management of the Mercure Hotel Saarbrücken Süd in 2011, Sascha Hampe was responsible for the hotels of the Berlin region, one of the most important and dynamic ones in Germany. Due to his outstanding achievements, Sascha Hampe was appointed Chief Operating Officer of the GCH Hotel Group in May 2018. After holding management posts at various hotel groups like Sheraton Hotels & Resorts, Dorint Hotels & Resorts, the NH Hotel Group and AccorHotels, Sascha Hampe took over the management of the Mercure Hotel Saarbrücken Süd on behalf of the GCH Hotel Group in October 2011. From 2015 to 2018 he was responsible for the hotels of the Berlin region, one of the most important and dynamic ones in Germany. Thanks to his significant achievements, Sascha Hampe was appointed Chief Operating Officer of the GCH Hotel Group in 2018. Hampe plans to advance the digitalisation and transformation of the company and consolidate the GCH Hotel Group’s position as a digital pioneer. He intends to continue the company’s growth using a sustainable and profitable approach for all stakeholders. Jörg Schiffmann is AVP Operations of the West Germany Region(ranging from the Rhine-Ruhr region and Dortmund to Koblenz and the metropolises Dusseldorf/Cologne) as well as Belgium and thus is responsible for the implementation of all operative measures for hotel standards and success monitoring, as well as for securing and improving profits. He views the Region West as a successfully operating region of the GCH Hotel Group; a region with which the stakeholders are greatly satisfied. 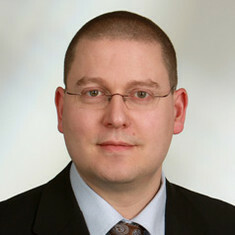 Jörg Schiffmann is AVP Operations of the West Germany Region(ranging from the Rhine-Ruhr region and Dortmund to Koblenz and the metropolises Dusseldorf/Cologne) as well as Belgium. 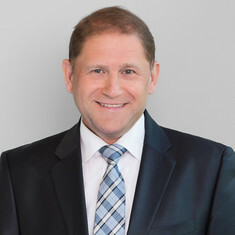 Prior to joining the GCH Hotel Group, Jörg Schiffmann held several Executive Management positions: Before he worked for the Steigenberger Hotel Group as Vice President Operations, he was with the Carlson Rezidor Group for more than 12 years, last holding the position of Area Vice President Operations Central Europe. 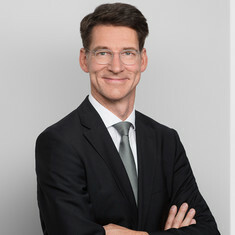 Up until recently JörgSchiffmann worked for the Steigenberger Hotel Group, where he held the position of Vice President of Operations. He was contracted to the Carlson Rezidor Group until mid 2012, his final position being Vice President of Operations for Central Europe. Prior to this he gained experience as a Regional Director and as a General Manager in various hotels of the group in the United States, Russia and Europe. The qualified Chef de Cuisine, Master Business economist and Cornell University graduate (Ithaca/USA) has been a manager in the hotel industry for 27 years. At the GCH Hotel Group, JörgSchiffmann is responsible for the implementation of all operative measures for hotel standards and success monitoring, as well as for securing and improving profits. He views the Region West as a successfully operating region of the GCH Hotel Group; a region with which the stakeholders are greatly satisfied. "The West Region has excellent potential to become the most profitable region in the next five years, when one considers the continuous growth of the GCH Hotel Group and its partners." Jan Burghardt is responsible for the activities and strategic management of the hotels in the region East. Before taking on the role of Director of Operations for the Eastern Region in 2016, he was General Manager of the Radisson Blu Park Hotel & Conference Centre Dresden Radebeul and Wyndham Garden Dresden. Jan Burghardt expects a dynamic development of the hotel market in the region East . Jan Burghardt is responsible for the activities and strategic management of the hotels in the region East. 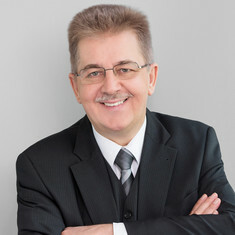 After completing his studies in hotel management at the Hotel Management School in Heidelberg in 1994, he held numerous positions as receptionist and hotel director in the 3 to 4-star hotel industry throughout Germany. These included the former Ramada Hotel Dresden (now Wyndham Garden Dresden) under the management of the GCH Hotel Group, where he was hotel director for almost six years. Before taking on the role of Director of Operations for the Eastern Region in 2016, he was General Manager of the Radisson Blu Park Hotel & Conference Centre Dresden Radebeul and Wyndham Garden Dresden. Jan Burghardt expects a dynamic development of the hotel market in the region East and would like to seize the opportunity of the upswing: "Our primary goal is to consolidate and further expand the market share of our hotels with the help of creativity, personal commitment and targeted product adaptation. We also have to continue to strengthen the synergies between the houses. Finding suitable, good employees for our teams who have the goal in mind and identify with our hotels is therefore probably one of the biggest challenges". Tino Bauer's professional career began in the Crown Plaza Hamburg as Executive Assistant Manager in Charge of F&B. His next steps on the career ladder already took him through several positions as General Manager for Ramada, Best Western, Grand City Hotels and the Wyndham Group. Since 2018 Tino Bauer took over responsibility of the region South and Central as Area Vice President. Tino Bauer's professional career began in the Crown Plaza Hamburg as Executive Assistant Manager in Charge of F&B. His next steps on the career ladder already took him through several positions as General Manager for Ramada, Best Western, Grand City Hotels and the Wyndham Group. GCH Hotel Group, which benefits from his expertise since 2008, honored him with the title “General Manager of the Year” in 2016. Tino Bauer is responsible for the hotels in the region Central and has additionally assumed the position of Area Director of Operations Central in 2017. 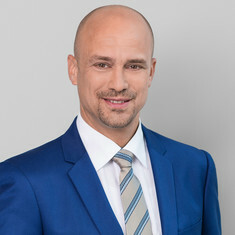 Since 2018 Tino Bauer took over responsibility of the region South and Central as Area Vice President. Bodo Sikora is Area Vice President for the South and North Regions, and is responsible for the strategic sales and the operative orientation of the hotels. Bodo Sikora views the GCH Hotel Group as a company with potential to grow. Bodo Sikora is Area Vice President for the North Region and Berlin, and is responsible for the operative orientation of the hotels. The qualified hotel manager learned the hotel business from scratch: as a receptionist in Berlin Zoo Hotel, then as a deputy front of house manager in the Berlin Excelsior Hotel and ultimately as Hotel Director in the Berlin Mark Hotel. Bodo Sikora took over as Cluster Director of the Berlin Mark Hotel and the Mark Apart Hotel, following structural restoration of the Mark Apart Hotel in Berlin and its subsequent reopening. Shortly after, he became Managing Director and Director of Operations of all Mark Hotels, and ultimately Area Vice President of GCH Hotel Group. Bodo Sikora views the GCH Hotel Group as a company with potential to grow: "There is legitimate reason to believe that the growth of the GCH Hotel Group consortium will continue at its present rate and that the portfolio of the hotels included will increase accordingly. For this reason it is extremely important to continue to develop and expand the cluster structures across all regions. At the same time, products must be improved and their position on the market must be strengthened."